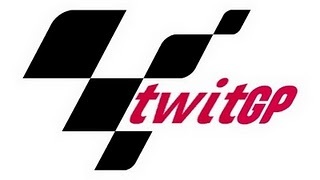 A couple of days ago, we investigated the feasibility of starting our own TwitGP Moto2 team. Even though it was all a bit of a lark, it soon became apparent that our followers thought it was an amazing idea to chip in and fund the team on a collective basis. In fact, some very well-heeled followers really believed in the spirit of the project and were keen to stump up several pieces of cash to REALLY MAKE THIS HAPPEN. We got so excited that we asked @TwitGPpr to break off from her "vital" shoe shopping and send an email to IRTA, the Irish Racehorse Trainers Association. They couldn't help, so then we made her send an email to IRTA, the International Road Racing Teams Association. They're the people that ACTUALLY look after the teams and riders and organise Moto2 in real life. The reply came from the very top: Mike Trimby, the SECRETARY GENERAL of IRTA (our understanding is he took over from Kofi Annan). We love it when our virtual world interacts with the actual world like this. By the way, the two best things about Mike Trimby are: (i) he's been instrumental in making motorcycle racing much, much safer, and therefore we are all forever in his debt, and (ii) he used to make paddock passes for riders back in the day on his kitchen table with help from his missus. Quality. 2) "However...we are anticipating being able to accept a limited number of entries from new teams". PHEW. 3) "Teams are required to be a member of IRTA. The 2010 membership fee was €5,120 per team, plus €3,980 per rider, which includes mandatory accidental injury insurance for the rider." NOT CLEAR WHICH "IRTA" WE HAVE TO BE MEMBERS OF - TWITGPPR IS CHECKING WITH THE HORSE PEOPLE. 4) "IRTA will deliver an FIM Grand Prix Licence for each rider. The 2010 cost was €502 each." SO FAR WE HAVE NO RIDERS SO WE CAN MAKE A BIG SAVING HERE. 5) "The cost of using the official engine in 2010 was €56,000...It is mandatory to carry a sticker 'Powered by Honda'." WE'LL NICK THE STICKER OFF ONE OF OUR DAD'S MOWERS. 6) "Slipper clutches manufactured by Suter are supplied free of charge." WOOHOO! FREE CLUTCHES FOR EVERYONE! 7) "Every team must conclude a contract with Dunlop for tyre supply. The 2010 cost was €40,000." HMM. @CAMBRIANTYRES WILL PROBABLY SORT US OUT A BIT CHEAPER THAN THAT. 8) "Fuel and oil is provided by ENI at no cost." WOOHOO! FREE FUEL FOR EVERYONE AS WELL AS THE CLUTCHES! 9) "All applications from new teams should be accompanied by full information on the team including ...the infrastructure and should be sent in by latest 28th September". WELL, SHALL WE? OUR INFRASTRUCTURE INCLUDES GREENKEEPERS AND CHICKEN FARMERS, THEY CAN'T ACCUSE US OF NOT BEING THOROUGHLY PREPARED. We should probably all have a meeting now. Bring your cheque books. So where do you want my Resume/CV sent for the Crew Chief job? Oh and I think I'll need a work Visa...thanks. As Ceo of TwitGP I think we should focus on the key areas, Finance and infrastructure. Finance clearly comes from followers and sponsors (who we do not have yet) and infrastructure comes from our group of very talented followers. Lets do it! overtime for admin staff already if that proposal is gonna make the 28th deadline - someone better get typing! 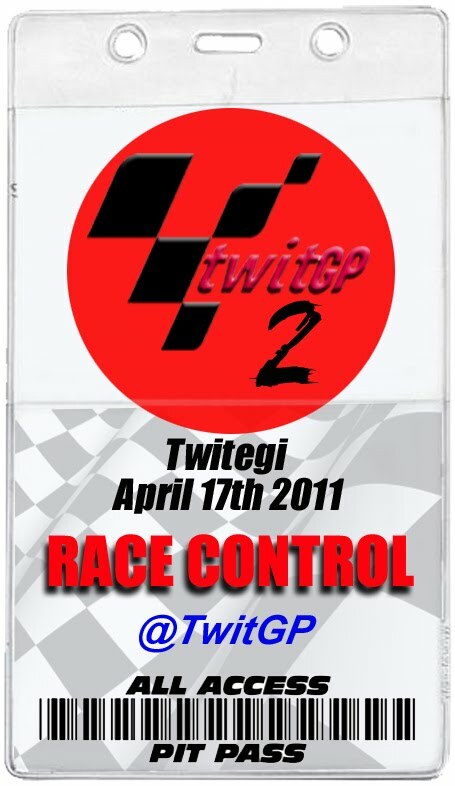 You got 3 days, so put @TwitGPpr on her seat and let her write our infrastructure of our new Moto2 team! I've got my cheque book ready!!! Can I be tea boy please? Ermmm one day left. How's it going? Is the tyre cost of 40,000 (guessing this is 100 set of tyres) per team or per rider!!? Are we going for one rider with one spare bike or can we afford two riders with two spare bikes?